England were bowled out for 77 as West Indies seized control of the first Test in Barbados. After setting a score of 289 in the first innings, the hosts lead by 339 runs at the end of day 2. 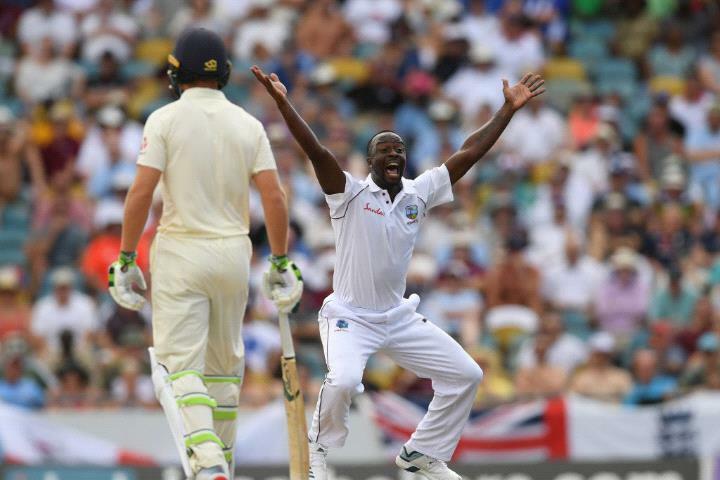 Kemar Roach's five-wicket haul, along with two wickets from Jason Holder and Alzarri Joseph helped dismiss the tourists for the lowest Test total at the Kensington Oval.